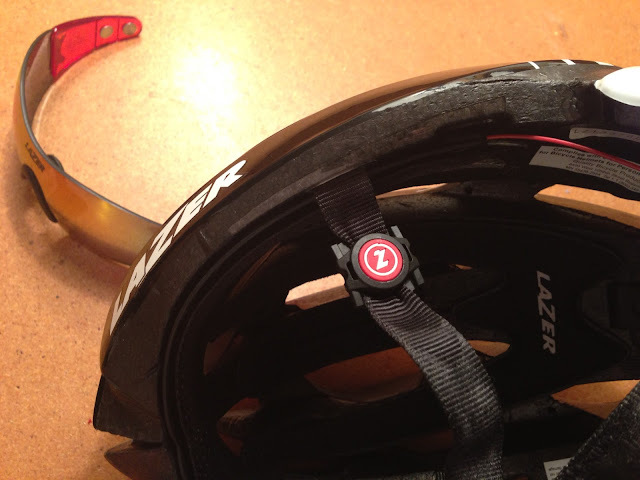 As with all of my recent Lazer reviews, thank you to Chris from Lazer for sending cool and innovative products for me to try and tell you all about. This review is no exception. While the Lazer Magneto will not make you an X-Men super villain or even give you super powers, it will do a few subtle things that make your ride more comfortable, and in turn enjoyable. Before I get there though, the secret behind the Magneto are small magnets built into the shortened ear pieces that connect with other magnets present in small mounts attached to the ear strap. The magnets keep the frame and lens in place, even during intense workouts. Two magnets on either ear piece give options for fit, closer or further from your face. 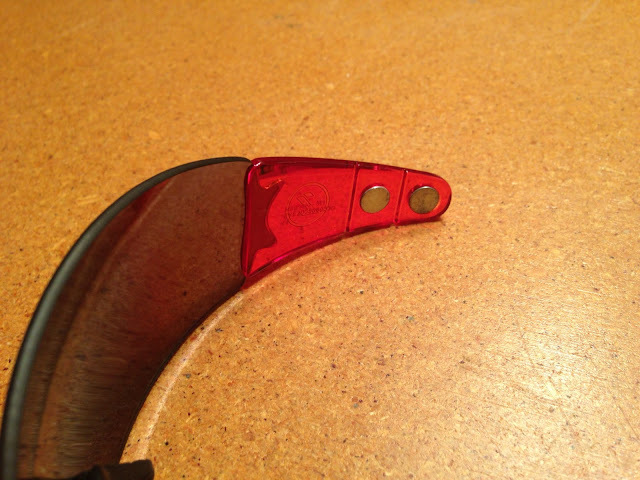 Mounts fit snugly and securely to the forward-most ear strap. 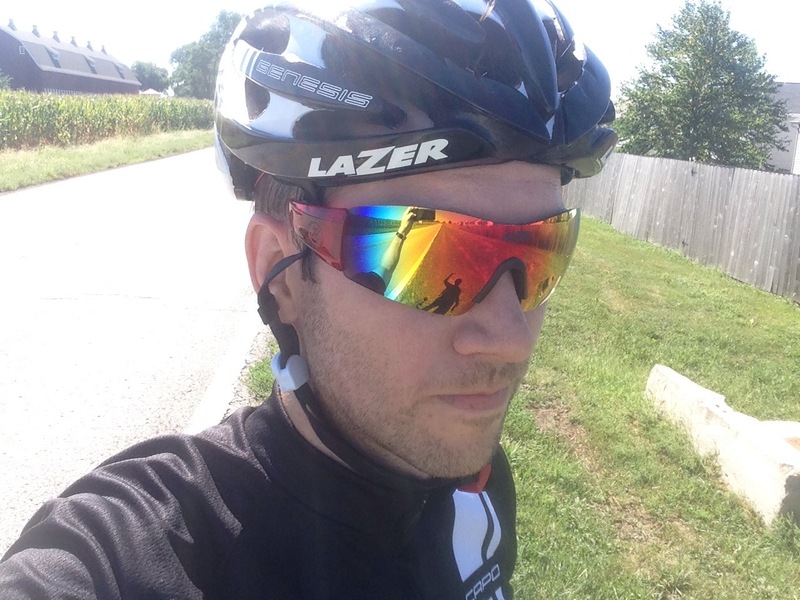 If you're ready to pass because you want to wear something on and off the bike, you're covered as Lazer also includes matching full ear stems that install quickly and make these sunglasses quite versatile. 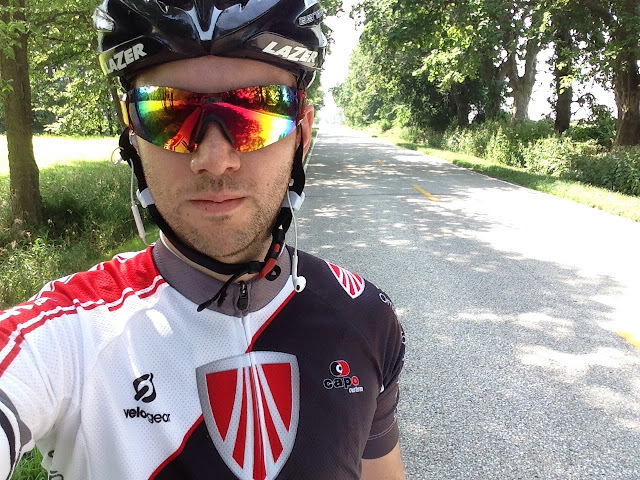 I have been out with the Magneto for the last three weeks on some unusually sunny, hot and intense rides as I continue to prep (not train) for the MS Nebraska ride. I felt that the Magneto system kept the lenses at a comfortable distance from my face and brow, which limited the amount of sweat streaking through and clouding my vision. As advertised, the setup also reduced pressure on my temples, leading to increased comfort - especially as the rides wore on. 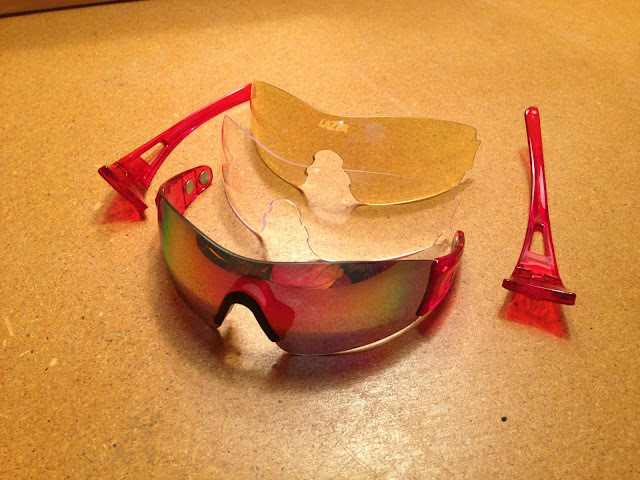 The nosepiece also kept the lenses in place and I never felt like they were sliding forward and out of position. 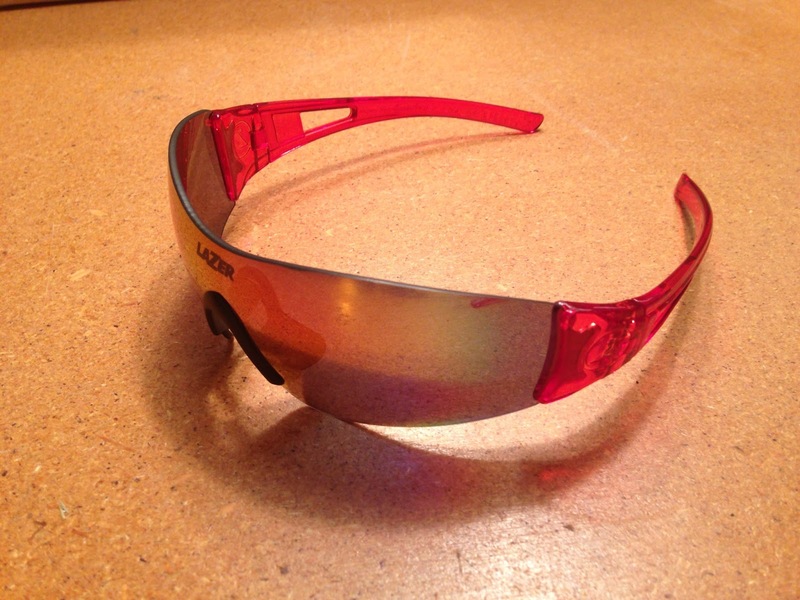 The lenses I have been testing (Lazer Yellow), have been great in bright conditions. No complaints at all. The optics have been right on par with my Oakley Radar's, and the larger lens size offers better protection and full field of vision. 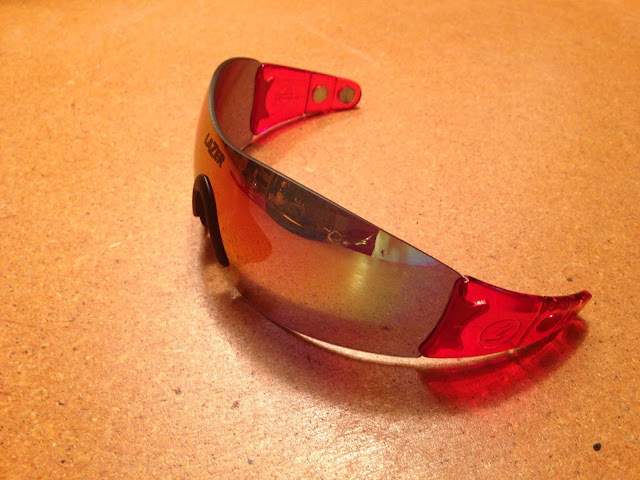 The Magneto's I am testing also come with smoke/brown and clear lenses for low-light and night riding. At right around $100 depending on where you look, there seems to be super value in the Magneto compared to other sunglasses on the market. One of the only real faults I found with the Magneto is stowing the glasses themselves, when not in use. This however, is remedied by the included mounts which make it possible to place the glasses on top of the helmet, as demonstrated in the video above. Install the mounts, problem solved. I am having a lot of fun wearing these things. They are comfortable, versatile, and just different enough to draw some curiosity from fellow riders and unsuspecting gas station attendants. For a definitely reasonable price you get a great set of sunglasses with two additional lenses and a hard storage case. Not a bad deal at all. And, if you're really nice, you can let people use your lenses as a mirror so they don't miss that extra glob of sunscreen on their nose. 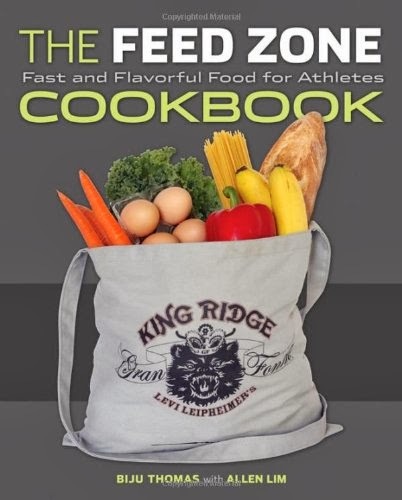 I really appreciate you taking the time to read this review and I hope you found it useful. I really enjoy the opportunity I have to test out great gear and pass on what I find to all of you. I know there are a lot of other sources of info out there, most of which are more well known and respected than me, but I am really glad to made it this far and continue to come back for more. 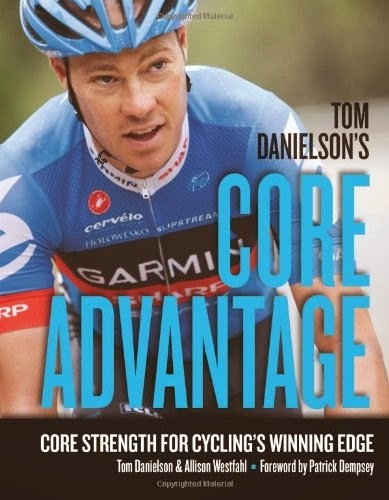 It will help me buy my wife a coffee or two to apologize for the three hour "test ride" and time spent putting this post together. Be well, keep riding and thanks again for reading!